Published June 25, 2015 at 1600 × 900 in McCallSmith_3. 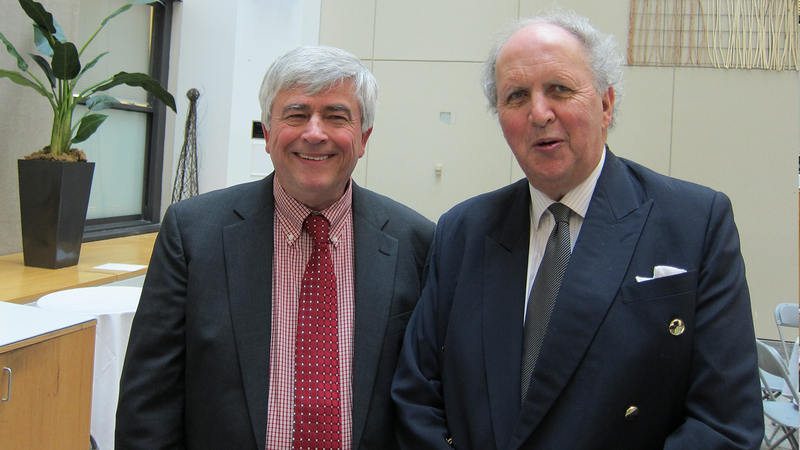 Max Essex, Chair of HAI, with McCall Smith. The two met in Botswana years ago and became friends. McCall Smith dedicated the previous No. 1 Ladies’ Detective Agency book to Essex for his work on HIV/AIDS in Botswana.